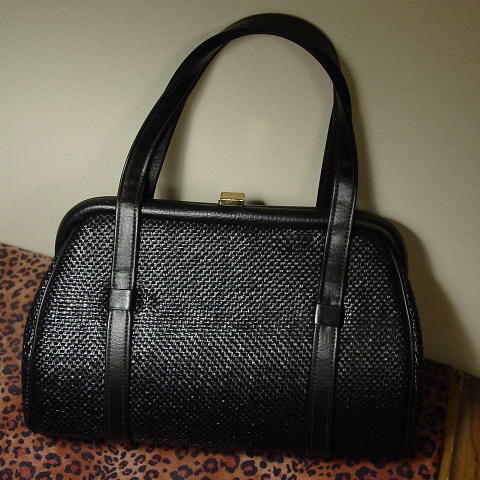 This vintage black woven straw handbag has two black handles that each extend 13" above the top rim. 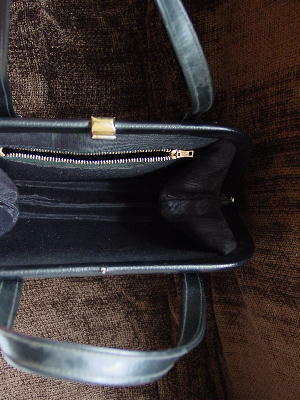 It has a gold-tone closure and a nice black micro-ribbed lining and a zippered interior pocket. The two handles extend vertically across the front and back and end at the gold-tone feet at the bottom. 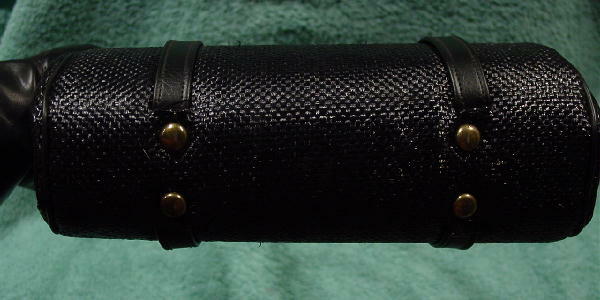 The black straps are made of manmade material.